Vigile at Oran, the eve of the beatification. We have received a great deal of information about the beatification of the 19 brothers and sisters martyred in Algeria. Here we want to underline what Muslims have said about this event and about those Christians with whom they had shared their lives and who have been witnesses of God’s presence to them. A minute of silence was observed in order to pay homage to the thousands and thousands of victims of the Algerian civil war (…), anonymous heroes of daily life ». Mohamed Boushikhi’s mother and Pierre Claverie’s sister. The bishop and his driver were assasinated together. 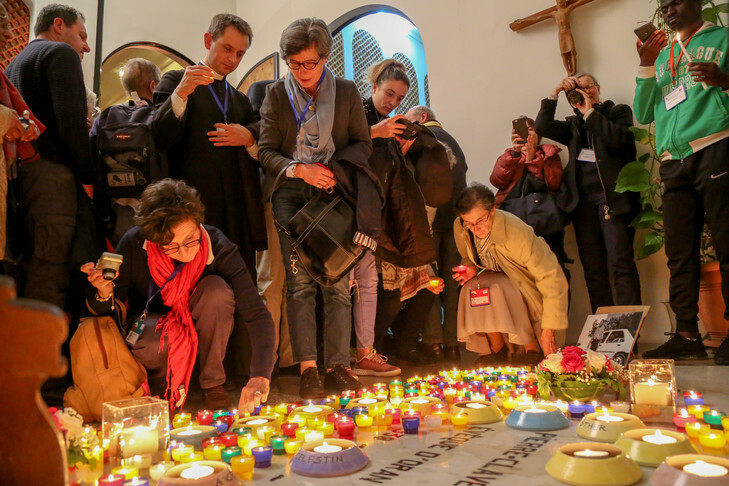 Farouk, from Oran, who participated in the vigil with his wife, summed up his deep emotion during the celebration with these words as he left the Cathedral: “This evening we were one in God, Muslims and Christians ». A bit everywhere In Algeria and in France, but also in the world, Muslims and Christians could share in the stories, anecdotes and quotations related by the speakers in all simplicity throughout the evening. At the end of the ceremony, a Muslim friend of Bishop Vesco, pointing to the statue of the Virgin turned towards the sea, said to him: « Look at her! She turns her back on us but takes everything that we have lived with her and turns towards this sea which can become a space of peace and openness for our world ». Muslin (left) and Christian (right) choirs animated the eve Vigil at Oran. 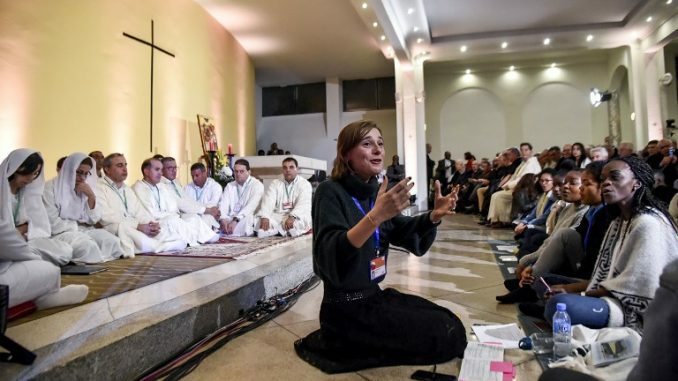 Kheira, a journalist for an Arabic daily newspaper, says : « Ever since I knew that these beatifications would take place, I have been hoping to participate », assured and convinced that « if we are not open to one another, we will fail in our duty ». « We are happy that Christians can pray in Algeria. It used to be that way and we didn’t even speak of ‘Christians’ and Muslims’: we didn’t need to make a difference. It’s the Black Decade that ruined everything » sighed an Algerian woman, who also longs for the « peace » which is on everyone’s lips. Christian dignitaries were welcomed at the Great Mosque. 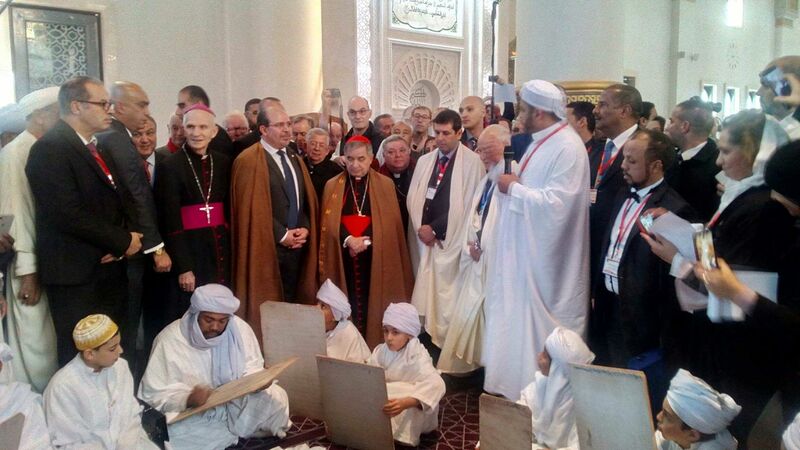 “We Muslims associate ourselves to this event with great joy », explains Mostapha Jaber, the imam at the Great Mosque of Oran, “these Christian martyrs killed during the great national tragedy, were persons of peace, persons of good faith, persons who had a specific mission : that of spreading peace ”. Nadera, an Algerian woman, says: « I was happy to learn of the plan to pay tribute to the many Imams who refused to endorse by fatwas the crimes of the jihadists and who died because of that ». The Esplanade of Santa Cruz has been baptised « the Esplanade of living together». The manner in which these martyrs were attached to their adoptive country Algeria in an exceptional way through friendship with the people, respect for differences and fraternity lived day after day is a model for all of us. Because they have lived friendship between Christians and Muslims to the end, because they have proclaimed « universal love for all », the recognition of these 19 new martyrs by the Church is a prophetic act. 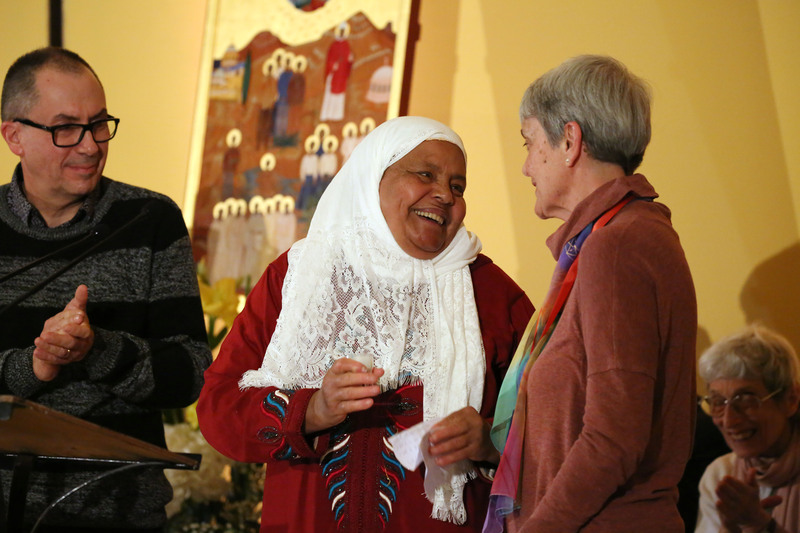 These religious women and men had chosen to give their life to Christ in a majority Muslim country – under the sign of « the friendship which comes from God». Cet article a été publié dans Home, Info E.D. English, Sharing. Ajoutez ce permalien à vos favoris.